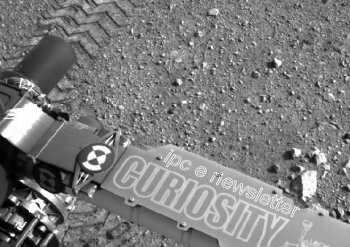 The Curiosity rover is a car-sized, robotic rover exploring Gale Crater on Mars, as part of NASA's Mars Science Laboratory mission (MSL). Welcome to the September 2012 edition of the IPC e-newsletter. The IPC e newsletter is distributed free to more than 4000 people around the world. Some updates were made in New Delhi and Chennai list of job coating units. Please note that the listing in job coating units is free. Help us to update the database. Asbestos Use on the Rise in U.S. Despite its well-known hazards and outright bans in many countries, asbestos use continues to climb in the United States, the U.S. Geological Survey reports. Although the mineral is no longer even mined in the United States, U.S. consumption of asbestos increased by 13% from 2010 to 2011, the USGS reports. Asbestos has not been mined in the United States since 2002; the country imports its supplies from Canada, Brazil and South Africa. Chrysotile asbestos, the only type used in the United States in 2011, has been banned in the European Union, Australia, Hong Kong, Japan and New Zealand. Canada also recently ceased mining of asbestos. The mineral is classified as a known human carcinogen by the U.S. Department of Health and Human Services, the Environmental Protection Agency, and the International Agency for Research on Cancer. In 1989, the Environmental Protection Agency issued a rule banning most asbestos-containing products, but the rule was overturned in 1991 in Corrosion Proof Fittings v. EPA. The ruling said, among other things, that the EPA had not sufficiently explored the safety of asbestos alternatives before issuing the ban. PITTSBURGH, Aug. 29, 2012 - PPG Industries (NYSE:PPG) will exhibit a complete line of environmentally advanced coil and extrusion coatings at CONSTRUCT 2012 and the Construction Specifier Institute (CSI) National Convention in Phoenix, Sept. 11-14. PPG products on display in booth 507 will include DURANAR(R) liquid and powder coatings. Neuffen – At the 10th parts2clean trade fair being held at the fairground in Stuttgart, Germany from 23rd till 25th October 2012, around 230 exhibitors will be presenting products and services for the optimized cleaning of parts and surfaces in manufacturing industries, maintenance and remanufacturing. Complementing the world’s most comprehensive trade fair in this field, the bilingual (German – English) parts2clean trade forum, which is being held for the first time this year, offers valuable knowledge to enable industrial parts to be cleaned reproducibly, cost-effectively and with a low ecological impact. In a growing number of industrial sectors, the cleanliness of components and surfaces has become a quality criterion defined by specific, reproducible residual contamination values which need to be attained and documented. With global competition continuing to rise, it has become essential for companies involved in the manufacturing business, in maintenance or remanufacturing to be able to fulfill these requirements in a cost-optimized way and as ecologically efficiently as possible. However, this can only be achieved by implementing solutions which are individually adapted to a company’s needs and capable of carrying out complex cleaning tasks, removing oils and greases, removing burrs, assessing residual contamination or providing temporary corrosion protection. All these solutions and more will be presented by the 230 exhibitors taking part in the 10th parts2clean at the Stuttgart fairground from 23rd to 25th October 2012. The world’s broadest trans-sectoral range of products and services will be on show for the industrial cleaning of parts and surfaces made from all types of materials along the process chain. Exhibiting companies from all areas of industry will be presenting numerous innovations and further developments. The focus this year is on solutions which contribute towards improving process reliability, cost-effectiveness and environmental compatibility. In the field of equipment manufacturing, a variety of solutions enabling cleaning systems to be operated with better energy efficiency will be on show, one of which being the first “green” ultrasound generator. Exhibitors will also be presenting innovations for inspecting and documenting cleanliness - tasks which are becoming increasingly important in many areas of industry. Among them, for example, is a compact in-line measuring system which enables residual contamination analyses to be carried out in compliance with VDA 19 during the manufacturing process. The exhibitors also have innovations to showcase in the segments of cleaning media, bath monitoring and bath maintenance, such as detergents based on renewable resources, systems for efficient process and waste water treatment and devices for measuring concentrations in liquids. In addition to this, a further range of innovative solutions will also be presented which ensure that cleaned parts and surfaces are protected against corrosion, preserved and packaged in an efficient and cost-effective way. Repair blow holes, cracks and other cosmetic problems in your castings...!! Ultimate solution for common problems with metal casters, powder coaters, electroplaters etc. Avoid unwanted scrapping of your castings due to minor cosmetic defects. Any mechanically strong metal castings can be patched up and repaired to high finish with Piocol Fixup metal repair putty . It will give you a very smooth finish metallic appearance. Patched surface withstands high temperature upto 545C. It can be powder coated to very fine finish without any problems of bubbles, cracks or, discoloration. It withstands powder coating oven temperature and lasts forever. Many times metal casters have to encounter situations like imperfect surface finish, blow holes, big or, small cracks, rough surface etc. Easy to use heat resistant, mechanically strong metal repair filler putty which can be powder coated to a perfect surface finish. 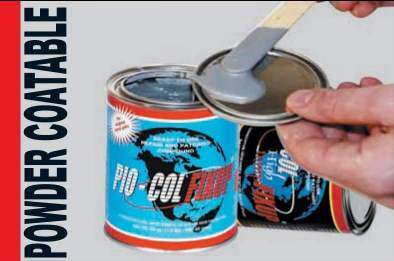 PIOCOL FIXUP is a mechanically strong, heat resistant metal repair & filler putty which is easy to use and solves many problems faced by metal , aluminium casting companies and fabricators. It has a temperature resistance upto 220Centigrade. It is machinable, can be drilled, grinded, filed or, smooth finished with sanding papers and sanding tools. It can give a highly finished metallic appearance to the surface which can be painted , powder coated or, chrome plated. It is highly corrosion resistant. It has a very very bonding and adhesion to metals or, non metals. Its mechanically strong repair putty can be effectively used to repair the blow holes, cracks and other surface imperfections which are visible in their moulded parts & castings or, while they do the machining. Apply piocol Fixup Metal putty filler and patch up the surface instead of breaking and recasting. It withstands high temperature and can be powder coated or, chrome plated.We have two products for Hightemp Fixup with heat resistance upto 545C. M/s.Prkntek Engineering Solutions Pvt Ltd.
Use this space to publish your mini resume in the format given in the adjacent column. You may or may not reveal your identity. Send us these details and we will put it this column Kansai Nerolac Paint Limited is looking for a entry level candidate in Tech. Services (powder coating) for West Region. KOLKATA: Kansai Nerolac Paints Limited (KNPL), one of the leading paint companies in India, has clocked a 3.43% increase in net profit in the Q1 of FY13. The profit increased to Rs 63.3 crore from Rs 61.2 crore in Q1 of FY12. For the quarter, the company declared a net sales of Rs. 723.50 crores, marking a growth of 11% over the same quarter of the previous year. EBITA was Rs. 96.90 crores a growth of 6.4 % over the same quarter of the previous year. LONDON – Industry research firm IRL announced the publication of a new edition of its Profile of the Indian Paint Industry. India is the seventh-largest country and the largest democracy in the world. It is one of the fastest-growing economies in the world, second only to China. India is also the second-largest paint market in Asia with an annual demand of over two million tonnes, again second only to China. Demand for coatings in India has been estimated at 2,205,000 tonnes in 2011. Decorative coatings account for nearly 78 percent of the market in terms of volume and about 70 percent in value, while automotive coatings, both OEM and refinishes, dominate the industrial segment, followed by high-performance protective coatings and powder coatings. Future market growth is expected to be in the order of 11 percent per annum overall, with individual segments displaying a broader range of growth rates across the two main segments. Demand for coatings is expected to reach 3,723,500 tonnes in 2016, mainly due to impressive growth in the construction, automotive and electronic appliance (white goods) industries. The Indian paint industry has been historically polarized into the large organized and the smaller unorganized sectors. The organized sector accounts for approximately 65 percent of the market; with more global companies entering the Indian market, it is not surprising that it is gaining increasing share at the expense of the unorganized players. This report covers India’s fast-growing market for coating, segmenting the market into nine mainstream coatings sectors and providing current market data for 2011 plus market forecasts to 2016. The Indian coatings industry has been growing at an average 15 percent per annum over the last decade. Growth has been consistent with the Indian GDP growth rate, and in some years the industry has grown at a rate of 1.5 to 2 times higher than that of GDP growth. Construction remains the key growth sector and is driving demand for decorative and protective coatings. The sector accounts for nearly 45 percent of the total national investment in infrastructure, and the trend is expected to continue in the future. Growth in the Indian car market is strong, at about 10-12 percent per annum, which is creating good demand for OEM coatings and vehicle refinishes in the long term. The refinish segment is enjoying growth in each of the premium, medium and economy sub-segments as a result of rising car ownership across all classes. However, as car ownership is likely to increase at the low end in the future, the greatest growth is to be expected in the economy area. Many paint companies are expanding their operations in India but the rapid growth of the paint industry, with billions of rupees being invested in enhancing capacities, is causing concern among environmentalists. A Profile of the Indian Paint Industryis now available from IRL at the price of EUR 3,250. It includes market data for 2011 and forecasts to 2016 for each industry segment covered in the report, plus a SWOT analysis of the Indian coatings industry overall and profiles of the key players. KOLKATA: Berger Paints India today said it will engage either Kareena Kapoor or Katrina Kaif as brand ambassador for its Silk brand paints for improving its market share. Berger Paints India 's consolidated net profit rose by 19.4% year-on-year to Rs 44.4 crore in the first quarter of financial year 2012-13. MUMBAI: Leading global paints and coatings firm Akzo Nobel plans to invest Rs 150 crore in a new manufacturing plant at Gwalior in Madhya Pradesh. "We are adding one more integrated greenfield site at Gwalior, for which we plan to invest up to Rs 150 crore this fiscal," managing director Amit Jain was quoted as saying in the company's annual report.The work to establish integrated coatings facility at Gwalior has started. At present, the company operates five plants. The Netherlands-based company operates mainly in decorative paints, performance coatings and specialty chemicals here, and recently made a foray into wood finishes. It enhanced its manufacturing capacity last fiscal by commissioning a 30 million litre facility in Hyderabad. It also added capacity of coil coatings at Bangalore plant. The report cautioned that coatings market in the country is likely to slow down in FY13. "Coatings market growth in 2012-13 is expected to slow down, with several challenges posed by factors like increase in rates of excise and service tax and hardening of the dollar against the rupee, putting pressure on costs and business profitability." Kansai Nerolac's new social media campaign, Kuch Change Karein, Chalo Tune Badlein, invites people worldwide to come up with their own versions of the much popular jingle of the paint brand. With the ever-increasing popularity of social media, brands just cannot shy away from using the channel to engage consumers. Kansai Nerolac Paints is the latest player to attempt to leverage the interactive opportunity of the medium. After its Nerolac Earth Matters campaign on Facebook last year, wherein consumers were encouraged to share sustainable living ideas and concepts, the paint brand has launched another initiative to interact with the youth. DOVER, Del. (AP) -- The DuPont Co. said Thursday that it is selling its performance coatings business for $4.9 billion in cash to The Carlyle Group, giving the private equity firm another investment in the automotive and industrial segments. DuPont CEO Ellen Kullman said the sale of the performance coatings unit will allow the Wilmington, Del.-based company to focus on higher-growth, higher-margin businesses. Those include agriculture and nutrition, bio-based industrials, and advanced materials, which Kullman said are the foundation of DuPont's long-term growth targets. "The deal announced today is a continuation of the transformation of DuPont," Kullman told analysts in a conference call. DuPont's stock was down 26 cents at $49.68 in afternoon trading. Its shares have fallen 8 percent since hitting a 52-week high of $53.98 in May. AkzoNobel has reached an agreement to sell its 75.81 percent shareholding in ICI Pakistan Limited to the Yunus Brothers Group for $152.5 million (Euro124.4 million). The price represents a premium of 30 percent on the market price when the local stock exchange closed on Friday, July 27. The price is subject to adjustments for cash/debt as at the date competition clearance is obtained and for interest from that date until closing. The transaction is expected to be completed towards the end of this year, once regulatory approvals have been obtained and the purchaser has completed a legally required tender offer for at least 50 percent of the shares in ICI Pakistan held by the other shareholders. "We are pleased to have reached an agreement to sell our shares in ICI Pakistan," explained Keith Nichols, CFO AkzoNobel. "We are convinced that the Yunus Brothers Group is better suited to achieving its obvious potential, while the deal includes conditions to safeguard the terms and conditions of our dedicated employees there." Commenting on the agreement, Sohail Tabba, Group Director at Yunus Brothers Group, said: "We are delighted with the agreement to acquire ICI Pakistan Limited. The Yunus Brothers Group is keen to further develop the business of the company, working closely with the existing management and employees." WiFi technology wirelessly synchronizes with PosiTector.net, downloads software updates, and connects to mobile devices to expand gage functionality. computers connected to your local wireless network or portable mobile hotspot. Synchronizing coating thickness data and updating and networking instrumentation should all be easier with new wireless technology developed by DeFelsko Corp. The owner of Seattle’s landmark Space Needle is inviting the public to enter a design contest to adorn the 605-foot tower with a new paint job in honor of the icon’s 50th anniversary. The Top Off Our 50th contest invitation went out via the roof, as the words “#TopThis For Our 50th!” were painted there earlier this week. The Space Needle is challenging the public to come up with a new color and design for the roof. This will top off the Needle’s 50th Anniversary Celebration. The tower was painted a retro “Galaxy Gold” color back in April to kick off the tower’s half-century mark; the same color coated the structure when it opened at the World’s Fair in 1962. Space Needle LLC will accept new design and color submissions until Sept. 20. “For the first time, a fan of the Space Needle will see his or her design painted on the roof,” according to a release from Space Needle LLC, the company that owns and operates the futuristic structure. The winning submission will adorn the roof from Oct. 21 through April 21, 2013 (the tower’s 51st birthday). “Like its very creation enabled by a small, tenacious group of community leaders back in 1962, this challenge once again places the future of the Space Needle in the hands of the passionate community of dreamers, risk takers and daredevils it serves,” the company said. The contest is open to all U.S. residents. A blank template for the design submission and other information about the contest are available here. A panel of judges will review and select a number of finalists, who will be posted on Facebook for public voting. The winner will be announced Oct. 21. Painting will begin as soon as the weather permits, the owner said, and the winner will have some pretty legit bragging rights. The winner will also receive various prizes, all tied to the Space Needle’s 50th Anniversary. “Top Off Our 50th” will cap off a year that has also included a competition to send a private citizen to space and a retro day that returned the original $1 admission price for the 520-foot Observation Deck. The Space Needle’s creation was the brainchild of Eddie Carlson, who doodled the famous structure on a placemat at a coffee house. From inception to construction, the needle’s road was not an easy one. But the Howard S. Wright Construction Company built the tower, and the city has never been the same. The discovery of bacteria-resistant polymers is being hailed as a potential biomedical breakthrough that could be used to create coatings for surgical and hospital devices, reducing the risk of infection. Researchers with the University of Nottingham tested the new class of polymers on the surfaces of some medical instruments and found that they effectively repelled bacteria. The formation of slimy "biofilms" can result when the microbes pack together into dense communities, but British and U.S. scientists found that the new class of materials prevented the bacterial build-up by more than 96 per cent compared to commercial silver coatings. According to a 2002 study by the U.S. National Institutes of Health, the sticky biofilms account for more than 80 per cent of microbial infections in the body. Münster/Aschaffenburg. On August 14, 2012, BASF and PROSOL Lacke + Farben GmbH signed a contract regarding the sale of the decorative paints business of RELIUS COATINGS GmbH & Co. KG in Germany and RELIUS FRANCE SAS in France. The business encompasses construction paints and plaster as well as varnishes and glazes for construction application and is mainly based in Germany, France and some other selected countries in Europe. The sale of the business includes the Memmingen site in Germany as well as 30 distribution points in Germany and France. The transfer is scheduled to be completed on November 30, 2012. The two parties agreed to not disclose any information on the purchase price. The decorative paints business of RELIUS in the Netherlands is not part of the transaction. BASF is currently negotiating the sale of this part of the RELIUS COATINGS business. The industrial coatings business of RELIUS COATINGS at the Oldenburg site in Germany is also not affected and will remain an integral part of BASF. Currently about 350 employees work in the decorative paints business of RELIUS COATINGS in Germany and France. PROSOL takes over the employment contracts of these employees. "RELIUS COATINGS has a very experienced team, state-of-the-art sites and well established brands. We are confident that this business can have a successful perspective at PROSOL that has its core competencies in construction paints", says Dr. Markus Kamieth, President of BASF's Coatings Division. "We are glad to have achieved our goal to safe as many jobs as possible", adds Kamieth. W. CONSHOHOCKEN, PA - A proposed new ASTM International test method will combine existing in-house methods for dirt pick-up resistance for architectural paints and stains in an effort to standardize testing for dirt repellency throughout the industry. WESTLAKE, OH -- Nordson today announced the acquisition of Sealant Equipment & Engineering, Inc., a supplier of meter, mix and dispense equipment and valves. Terms of the transaction were not disclosed. Plymouth, MI-based Sealant had sales of $18 million for 12 months ended June 30, employs 60 people, and will operate as part of Nordson’s Industrial Coating Systems segment. PPG Industries has released a brochure titled ‘Quick-Ship Color Selector,’ featuring in-stock, ready-to-supply powder coatings in 112 well-known clear, conventional and military colors. Easing supply conditions and a weakening TiO2 demand are increasingly affecting titanium dioxide prices in Western Europe. Prices for titanium dioxide (TiO2) on Western European markets had largely rolled over from the first into the second quarter of 2012. Nevertheless, downward pressure on prices continued to grow in the second quarter of the year due to ample supply and softening demand . Since the end of the second quarter, more and more titanium dioxide buyers have been asking for price cuts in third-quarter contracts. Several buyers and sellers said to have agreed on leaving contract prices untouched for third-quarter deliveries, despite a mounting downward pressure from the supply side. However, price cuts were reported as well in a growing number of deals. NanoCoat Total Car Polish for cars from International Trading & Consulting has been specially developed for use on car paint to repel water and dirt from the painted metal surface. The polish creates a long lasting, easy to clean invisible Nano protection on the painted surface that does not require the use of other cleaning agents once treated. Once applied, the protected surface needs only to be washed with water, meaning that most dirt and grime will be washed off by rain. Debasis Bennerjee has rejoined Berger as Business Development Manager for powder coating after a gap of couple of years.. Earlier Debasis had worked with Berger for eight years. IPC e newsletter is excellent..!